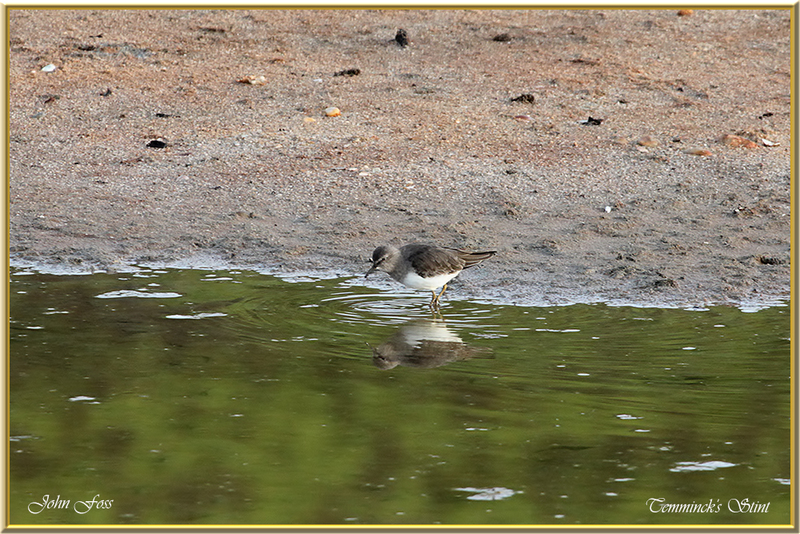 Temminck's Stint - Named after the Dutch naturalist Coenraad Jacob Temminck. 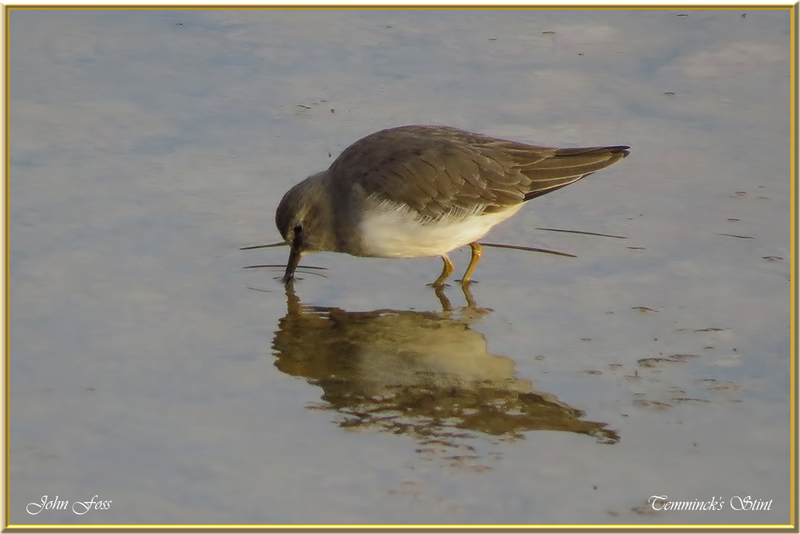 This small wader is not rare but very scarce in the Algarve where this bird was photographed during October at Quinta do Lago. 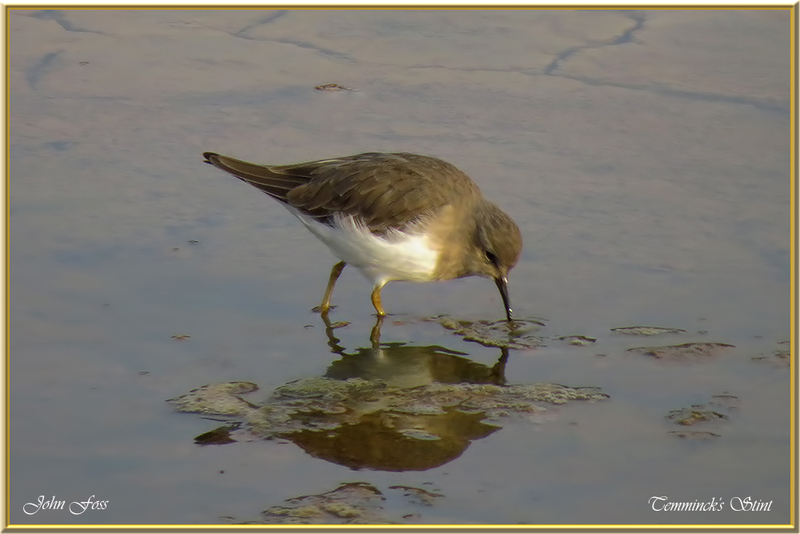 They frequent marshes and lakes feeding on worms, crustaceans and mollusc. Rare in the UK and more so in Ireland. 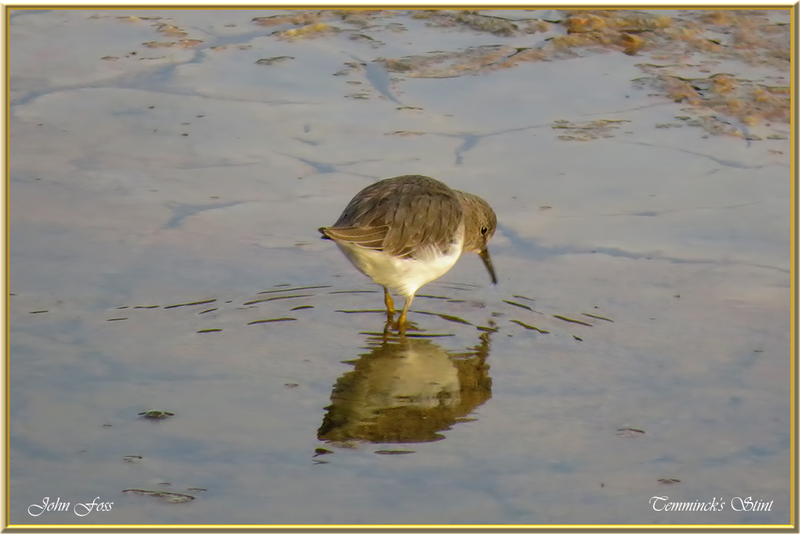 A drab little wader with yellow legs and white outer tail feathers. 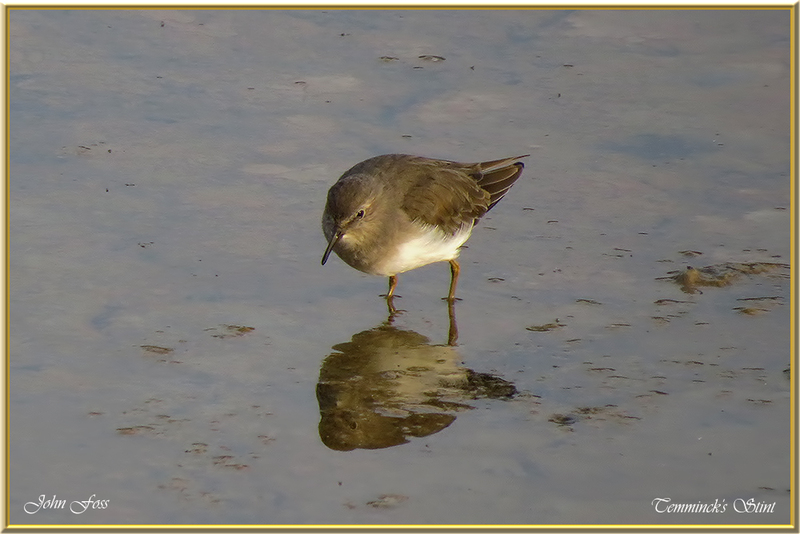 This distinguishes it from the Common Sandpiper which is very similar and is easily confused with.